Please check the box below to search our in stock sizes! 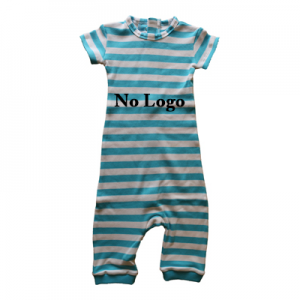 All sleepers are 100% soft, tagless, comfortable, interlock cotton. Machine wash warm/cool. Tumble dry low. Our soft, comfortable, 100% cotton sleepers make nighttime, naptime and even daytime a whole lot less stressful when you know your little ones will keep their clothing and diaper on. The full length zipper along the back of the sleeper, along with the unique double snap closure system and escape proof non-stretch neckline assures that children will not be able to remove their sleeper by themselves, yet it’s quite easy for a caregiver to do so. The sleepers should be snug-fitting as they are not flame resistant, as they do not contain chemicals. 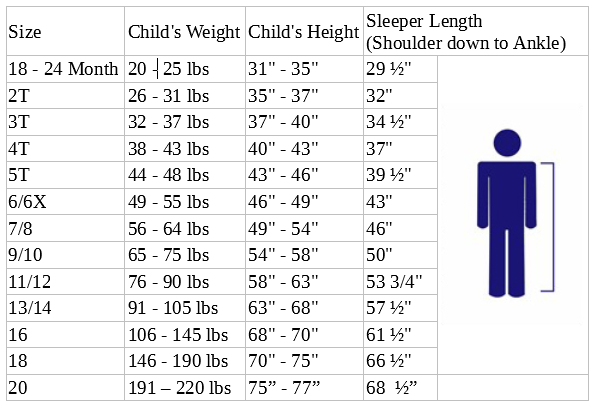 Please refer to the size chart for a proper fit. Patented, imported and loved by children and their caregivers. For child’s safety, this garment should fit snugly. This garment is not flame resistant. No chemicals added to garment. Loose fitting garment is more likely to catch fire.